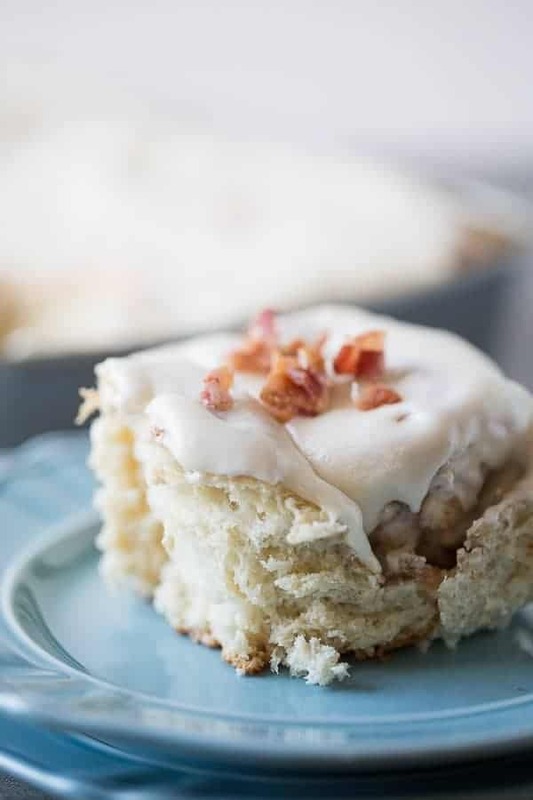 Maple frosting is the perfect topping for these salty/sweet bacon cinnamon rolls! I know Thanksgiving dinner yields a lot of pressure. Not only do you have to buy the right sized turkey, but then you have to remember to thaw that same turkey. You have to consider what sides you’ll serve. Are you doing the green bean casserole that everyone loves? How about sweet potatoes? Will you make mashed potatoes and gravy? What about the cranberry sauce, does anyone even like cranberry sauce? Should you serve rolls or are they too filling? What about salad or soup? Then once you made your menu, you have to figure out how to time all the cooking and how to make everything fit in one oven. After all this, you get to worry about dessert. After spending hours upon hours worrying about Thanksgiving dinner, it’s easy to overlook what you are going to feed the family the next day. Turkey and the fixings make great leftovers, but not necessarily for breakfast. That’s where these bacon cinnamon rolls come into play. 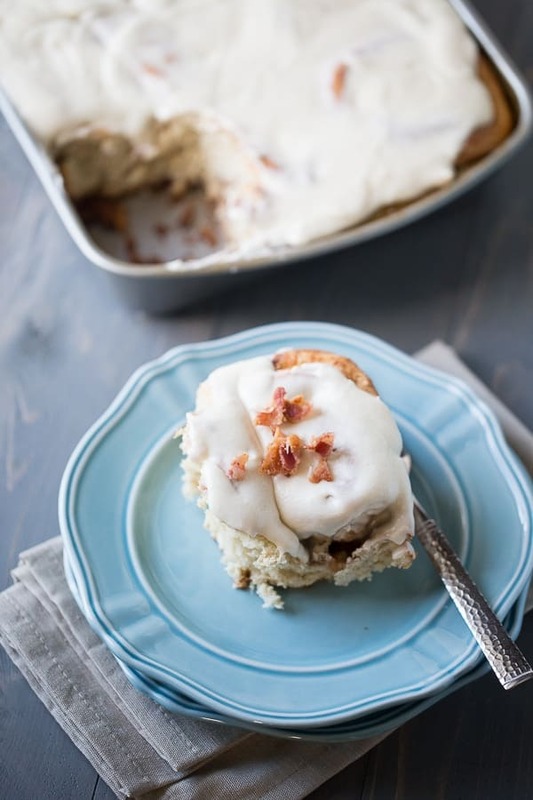 These bacon cinnamon rolls have everything you love about breakfast. 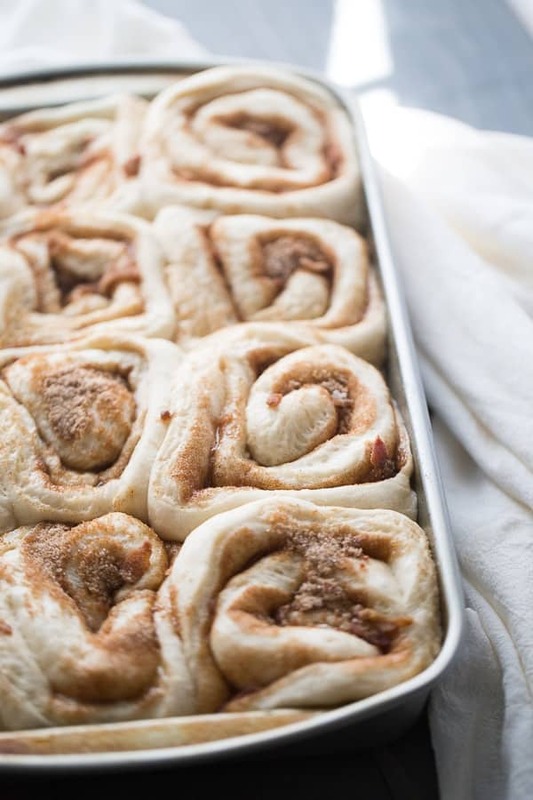 The rolls themselves are soft and tender and filled with a blend of salty bacon, cinnamon and brown sugar. These rolls are baked just until golden then once they are cooled they are smothered in a thick layer of maple frosting. Bacon + maple syrup + cinnamon + dough…need I say more? I adapted my dough recipe from Fleischmann’s beginner cinnamon rolls. I like this recipe for one thing; it’s simple and the rise time is limited. You do let the dough rest after mixing, but only for about 10 minutes. The second rise will come after you roll and slice the dough. You will let the dough rise for only one hour. This gives you time to cook your bacon and make your filling. I like to add flour to my filling; it thickens the filling and helps to keep the filling from oozing out. After you spread your filling over the dough. Gently roll your dough over the filling starting with the long edge; then pinch the seam. Cut your dough using a dough scraper, a sharp knife or even dental floss (although I have never tried this myself). Place each slice, cut side down into your 9 x 13-inch pan. It’s ok if there is quite a bit of room between the rolls. They will fill out during baking. Be sure to allow your rolls to cool completely before frosting otherwise you will end up with frosting that slides right off. 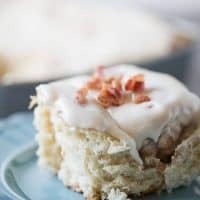 Fluffy rolls filled with bacon and cinnamon then topped with a sweet maple frosting. For the rolls, in the bowl of a mixer, combine 2 cups of flour, sugar, yeast and salt in a bowl. Place water and butter in a microwave-safe bowl. Heat mixture until warm or to 120 degrees. The butter will not melt completely. Add water mixture to flour mixture along with the egg. Beat dough for 2 minutes on medium speed, stopping to scrape dough the dough. Add 1 cup of flour, beat on high for 2 minutes. Continue to add flour, scraping as you go until the dough forms a ball. Knead the dough on a lightly floured surface until smooth and elastic. If your press fingers into the dough, it should spring back. Cover the dough with a towel and allow it to rest for 10 minutes. In a small bowl, combine filling ingredients (hold back one tablespoon of flour). Roll out your dough into a 10 x 15-inch rectangle. Spread the butter over the dough. Sprinkle filling evenly over the butter and lightly dust remaining tablespoon of flour over the filling. Gather the long edge of the dough and gently and carefully roll dough tightly and gently pinch the seams. Place dough seam side down and cut the dough into 12 equal portions. Place dough cut side down into a 9 x 13-inch pan that has been coated with cooking spray. Cover the dough and place in a draft-free area. Allow rolls to rise for 1 hour or until doubled in size. Preheat oven to 350 degrees. When rolls have risen, place them in the oven and bake for 25-30 minutes or until golden. Remove them from the oven and allow them to cool completely before frosting. For the frosting, combine the ingredients in a bowl and whisk until smooth. Drizzle frosting over rolls and smooth out with a spatula. These rolls look just perfectly fluffy! Can only imagine how they taste with bacon and maple frosting..
Ooooh, yes please! I love any breakfast that combines bacon and maple, but this sounds especially good. I want to try it! Wow, these look so good! Bacon and maple syrup. Who could resist? Thanks for sharing at this past week’s party. Pinned & shared. Hope to see you again soon. 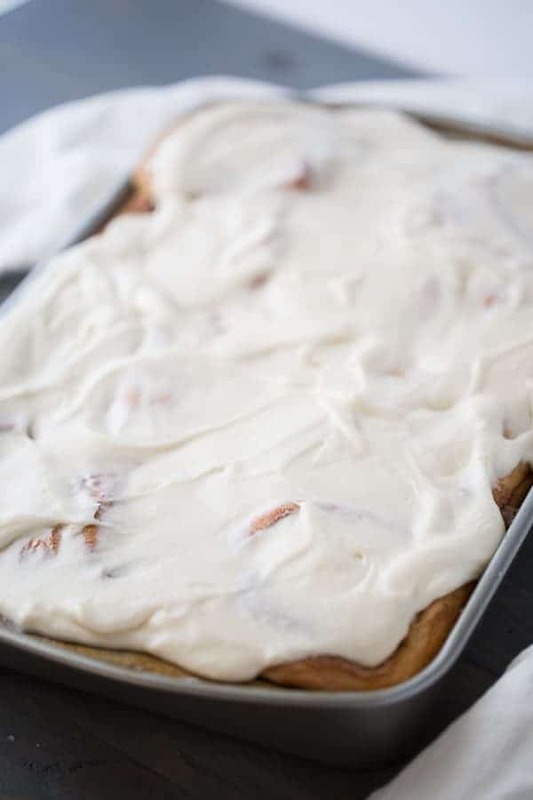 I didn’t think cinnamon rolls could get any better, but they just did! There’s so much good stuff in these! Pinning! These would be really dangerous around me! I love the frosting to cinnamon roll ratio! Also, that this just makes 12 cinnamon rolls!! 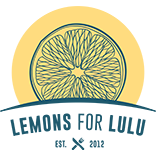 So many recipes make A TON and while I’d like to eat A TON, it’s not that helpful… So great! I agree, if I have a second pan, I’ll think about it until it’s gone!